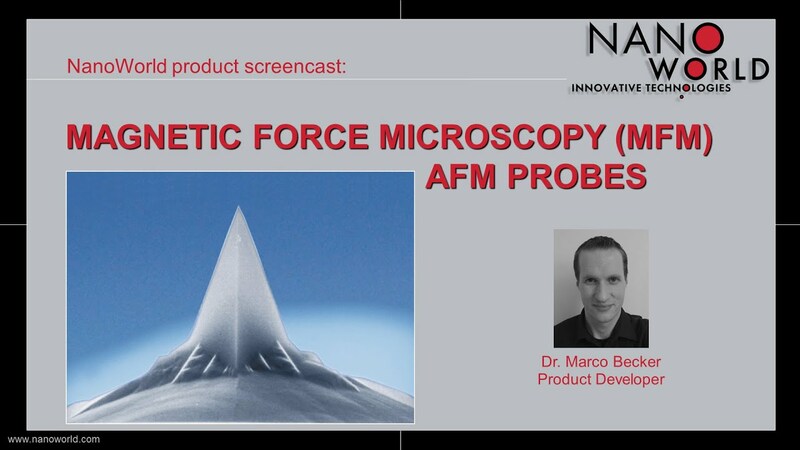 NanoWorld Pointprobe® MFM probes are designed for magnetic force microscopy. The force constant and the special hard magnetic tip-side coating of the MFM type are optimised for this type of application. This type of probe yields a very high force sensitivity, while simultaneously enabling tapping™ and lift mode operation.